Our supply of bulk restaurant Tartar Sauce for dipping fish and seafood is tasty. The restaurant supply superstore stocks all your Tartar Sauce options in bottles, packs and cans. This mayonaise based sauce makes everything taste better. Mayo, Dressings and Condiments Tartar Sauce - 12 Grm. Heinz Single Serve Tartar Sauce - 12 Gram. 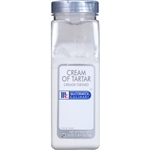 Kraft Creamy Tartar Sauce - 1 Gal. Kraft Tartar Dipping Sauce - 1 Gal. Kraft Condiments Tartar Sauce Cup - 0.75 Oz. Kraft Tartar Sqeeze Sauce - 0.44 Oz. Portion Pac Americana Tarter Sauce - 9 Grm. Portion Pac Tartar Sauce - 9 Grm. Portion Pac Tartar Sauce - 12 Grm. Portion Pac Taste Pleasers Gourmet Tartar Sauce 1 Oz. Dukes New England Tartar Sauce - 1 Gal. Tartar Sauce Pouch - 12 Gr. Flavor Fresh Tartar Sauce Pouch 200 Count - 9 Gr. Buy Wholesale Tartar Sauce for your restaurant and food service meals. This condiment is often found at a fish fry and goes well with conch fritters, too. Made from mayo, lemon juice, relish, onion and pickle juice, this sauce is designed for seafood.